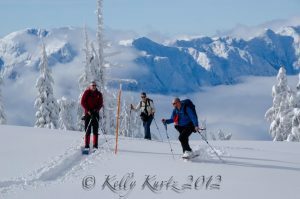 Ever wonder what Guide’s do in the winter? Home/Garabaldi Provincial Park/Ever wonder what Guide’s do in the winter? We often get asked – what do you do in the winter? While most of us work up at Cypress Mountain on Vancouver’s North Shore, we also get to enjoy the backcountry in all its splender….Paul Head, Mark, Jenn Dickie, my brother Jeremy and our friend Tim headed up to a small local gem today known as Red Heather Meadows. 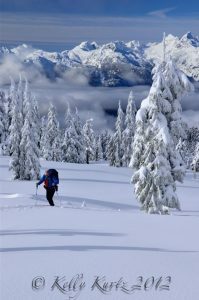 Part of Garabaldi Provincial Park in British Columbia, one must have 4X4 and chains to get to the trailhead. It is approximately 40 minutes from our doorstep including the bumpy logging road ride. Luckily for us we were the first ones in the parking lot this morning and broke trail with 30cm of fresh powder! 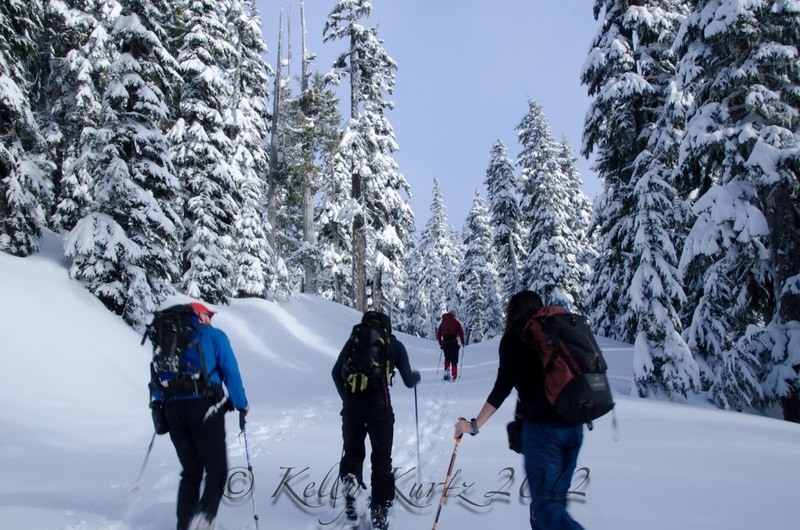 Not only was it a great workout but we were all rewarded with both the company of good friends and outstanding views….snowshoe or ski, it was merely a method of transporting us to another world. The view of the Tantalus range looming in the background was absolutely outstanding to say the least. Snowshoeing and skiing uphill doesn’t seem to be much different for speed, but it is on the downhill that we the skiers beat the snowshoers by an entire hour 🙂 A great day adventure right in our backyards…. 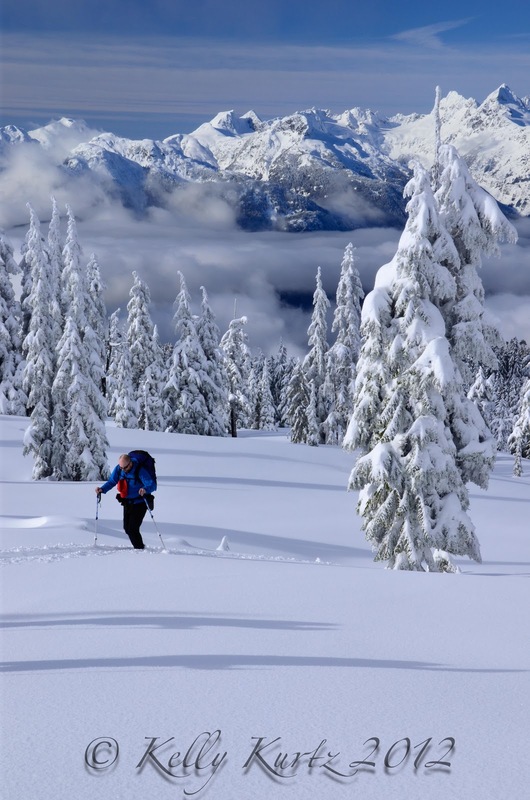 If you aren’t a winter person, get out there and get your head above the clouds! Besides, it is a great way to keep your fitness levels up for the summer so when spring training time rolls around the corner it the trail won’t seem so steep. So what are you waiting for? Get out there!